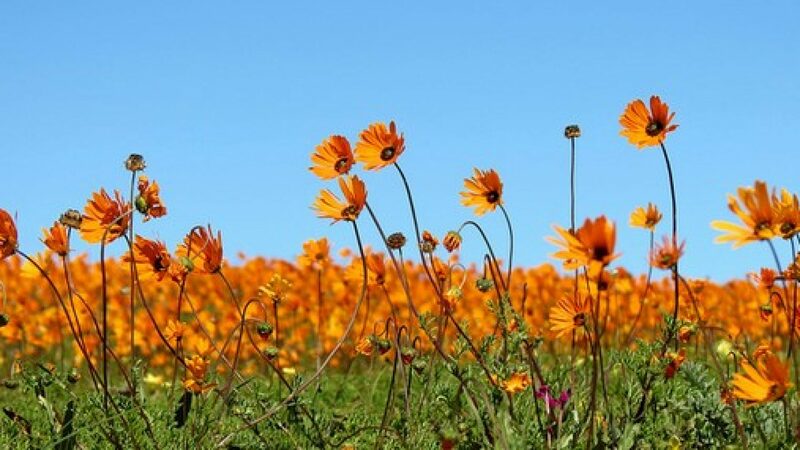 Postberg is one of the best places on the West Coast to see fields of wild flowers. This section of the West Coast National Park is only open to visitors during spring. You can do some game viewing from your own vehicle. It’s easy to spot a variety of antelope ranging from Africa’s largest, the eland, to pronking springbok or maybe a shy little greysbok. Ostrich and their chicks wander about and if you’ve got sharp eyes you will discover tortoises, field mice, mongoose and myriads of birds, bees and butterflies. There are also a few great viewpoints for whale watching. Picnic, barbecue and ablution facilities are available for day visitors. There is a shop at the entrance that sells various field guidebooks. Entry is free to Wild Card holders.